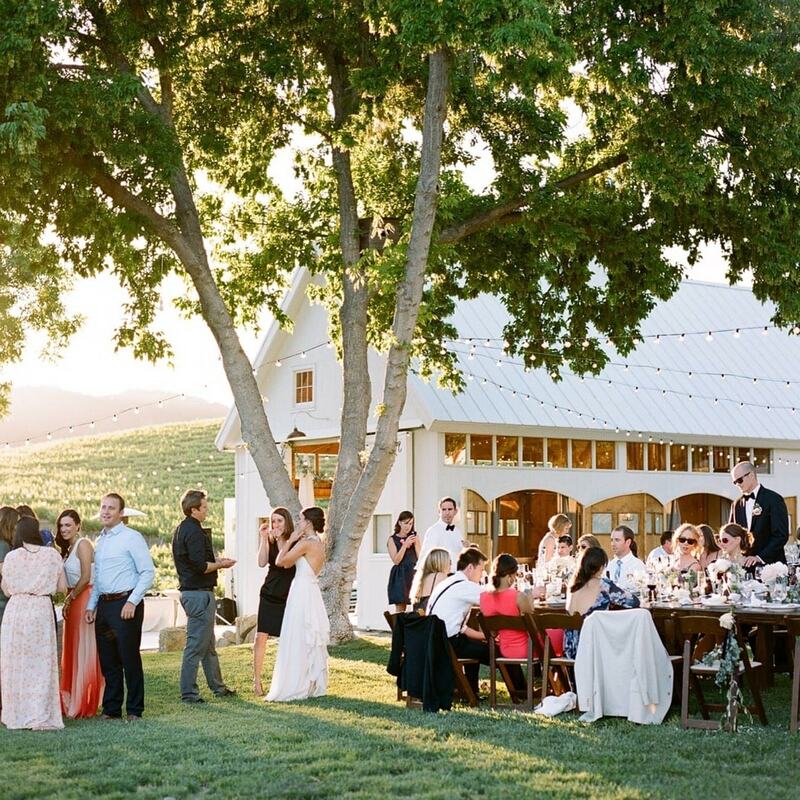 Ceremony Location Oak Tree Lawn, Vineyard Vista, Farm House, and Barn. Catering Must choose from a list of approved caterers. Bar Service HammerSky Wine only. Nestled in the Westside region of Paso Robles, HammerSky Vineyards offers the perfect vineyard vacation rental around. The property features a restored farmhouse and traditional barn that rest on 50 acres of rolling hills. Step back in time and enjoy the venue’s deep roots and local history while enjoying the love and happiness of your special day. Say your “I Do’s” under the billowing canopy of a 400 year old oak tree and move your reception into the rustic and romantic barn for an all night party!